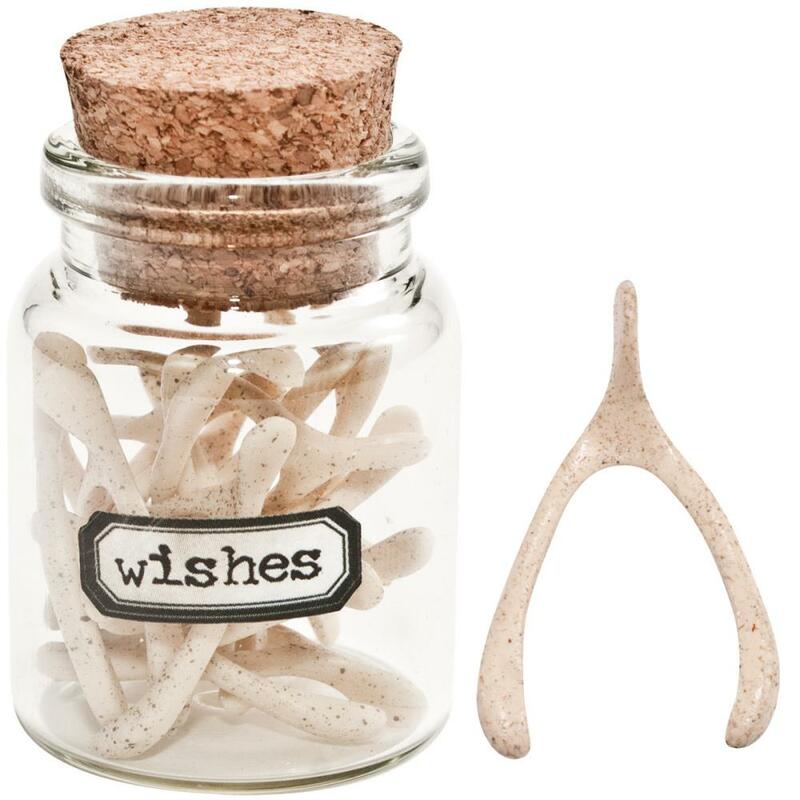 ADVANTUS: Idea-Ology: Wishbones. A collection of faux forked bones used in wish making. 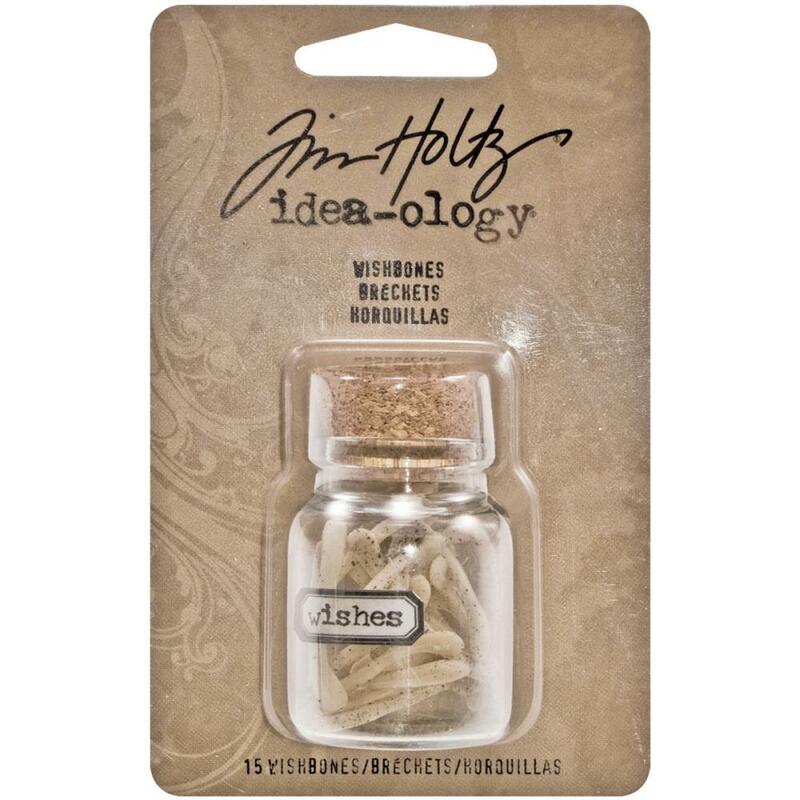 This package contains a 2 inch tall jar with fifteen wishbones. Designer: Tim Holtz.